We continue our journey with another busy day. 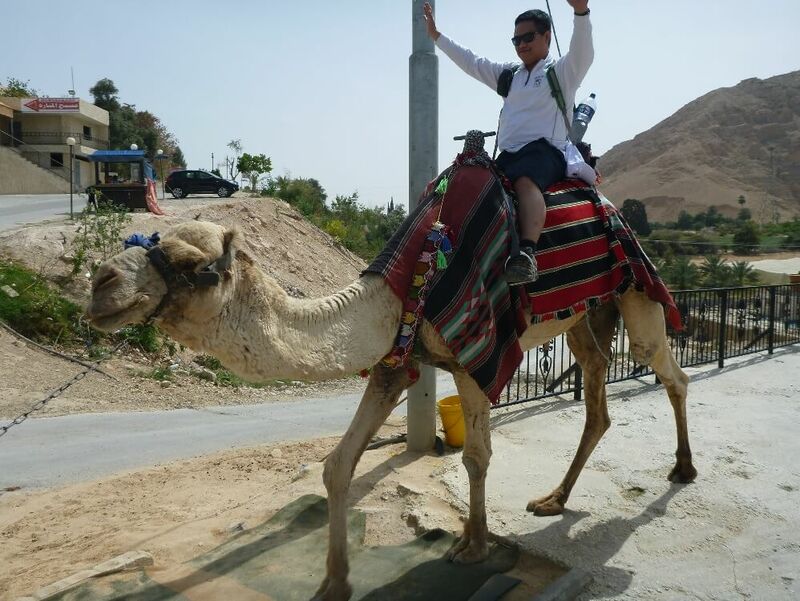 We started in the Jerusalem Old City – home of the Dome of the Rock and Western Wall. Security was tight, but we made it through. Even though many of us felt out-of-place, everyone was all smiles. We then headed to the Western Wall. It was a Jewish holy day, so no pictures were allowed, but all of us were able to approach the wall. Some of students told me that they said a prayer for our Jewish brethren. 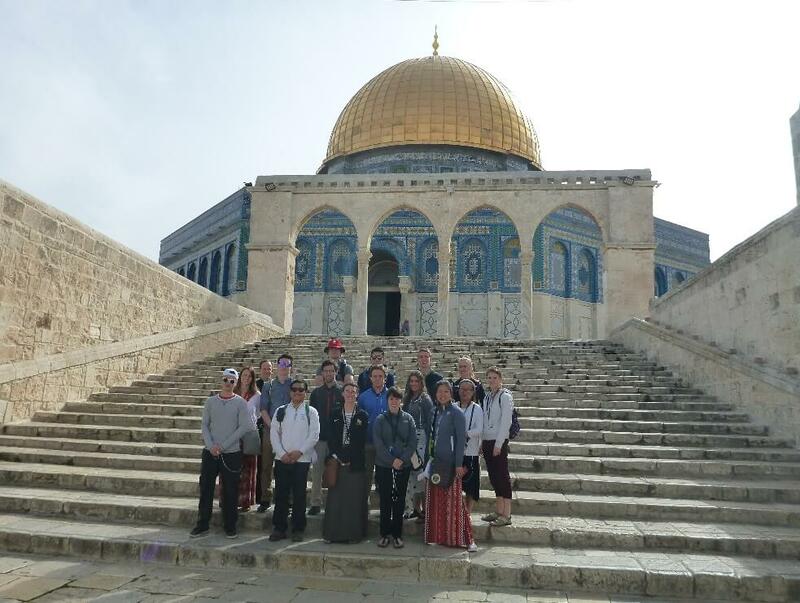 As we walked from the Dome to the Wailing Wall and then into the Christian Quarters, it was clear that our students felt more comfortable. We walked along the path of Jesus’ passion and celebrated mass in the same place where Jesus was scourged. 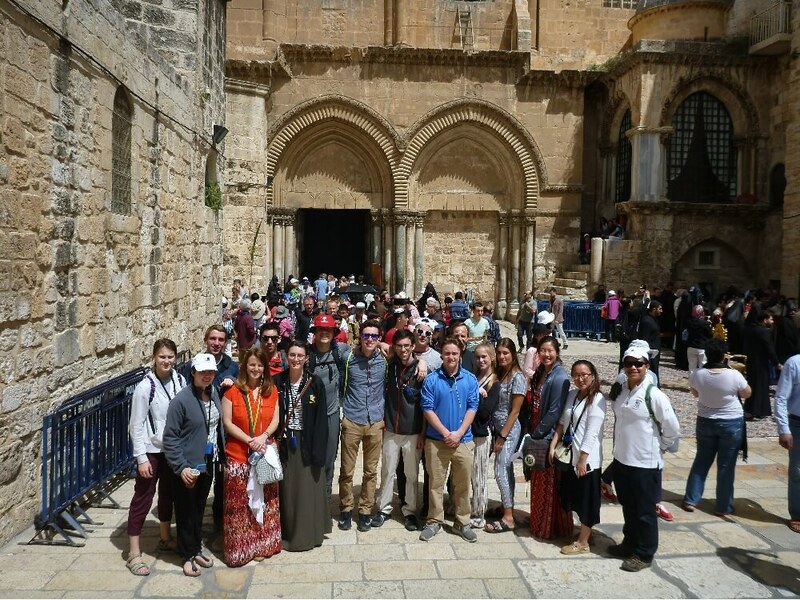 As we visited the holy sites this week, we celebrated the mass according to each site. This was the first mass that reminded us we were in Holy Week. Afterwards, we marched toward the Holy Sepulchre. 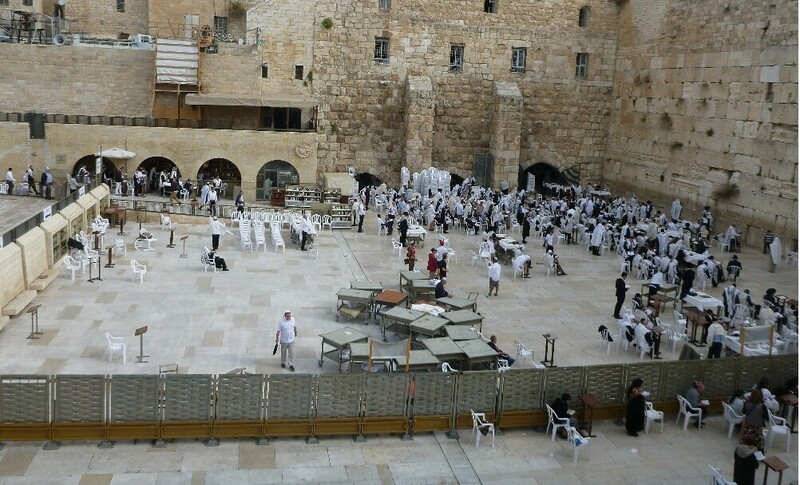 Similar to surrounding streets, the area outside of this most holy place was buzzing with activity. However, the feeling of being in a Christian holy place was distinct. We stopped and noticed as different groups of Christians entered and left. There was also a group of Armenian Christians chanting and praying outside. So many people dressed differently, looked differently, and spoke an unintelligible language for us, yet all were here because of our common faith in the risen Christ. We entered this most holy of Christian sites and saw the Stone of Unction where Jesus’ body was anointed. Then, we joined the line to see the tomb of Jesus. The line was long and the visit was very brief, but it was incredible to touch the place where Christ’s was buried and resurrected. After another delicious lunch of “chicken steak”, we headed toward the Dead Sea. 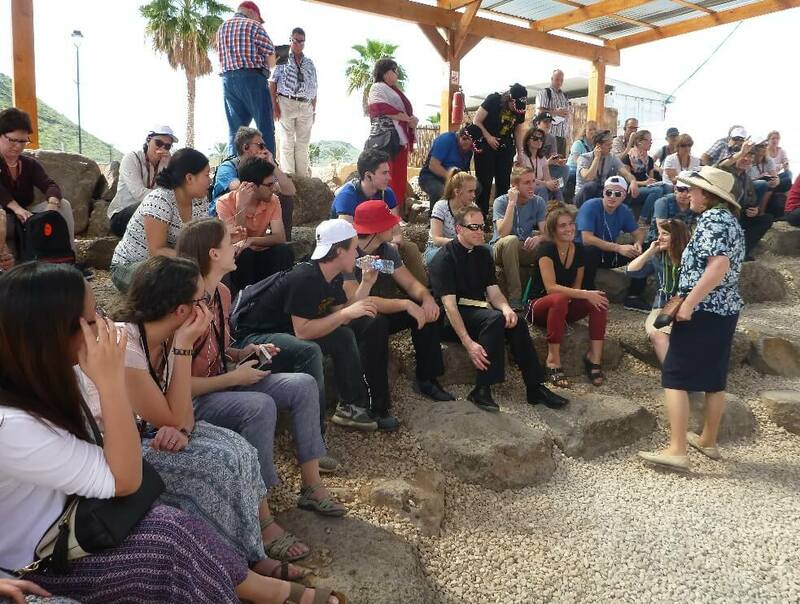 We made a stop in Jericho, the world’s oldest city, with a view of the Mt. of Temptations. 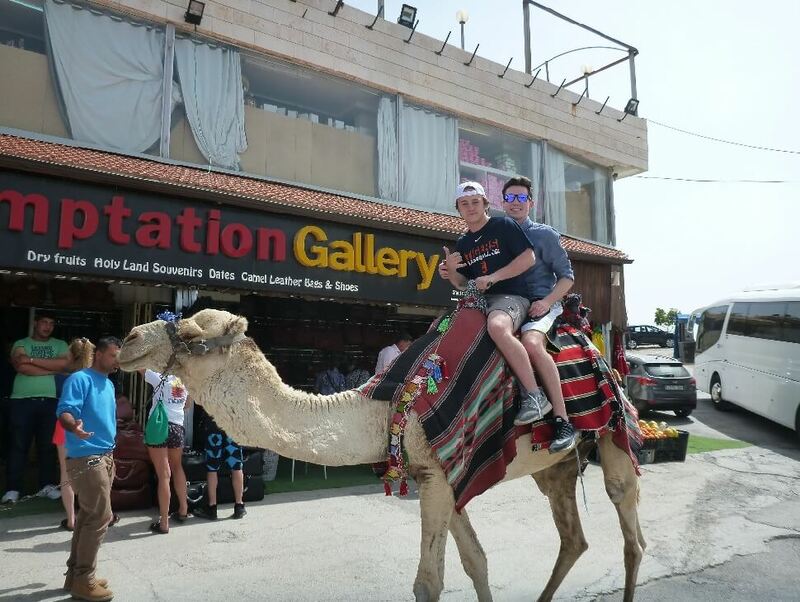 We indulged ourselves with shopping for souvenirs and riding a camel. 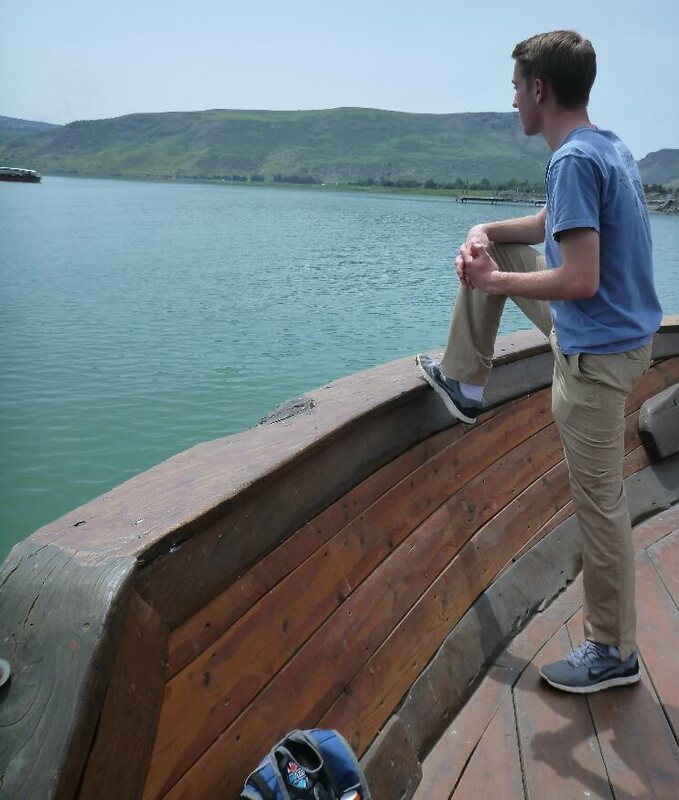 We then headed to the Jordan river. 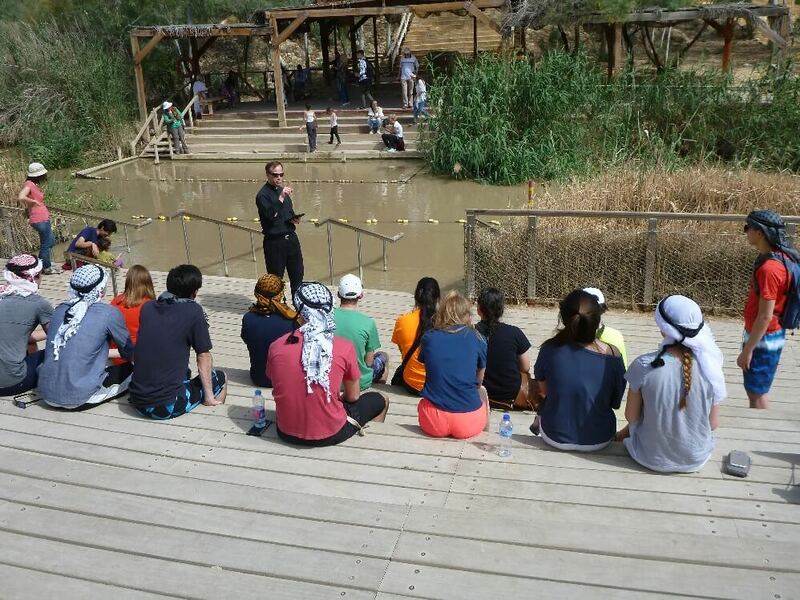 In this same place where Jesus was baptized, we renewed our own baptismal vows. 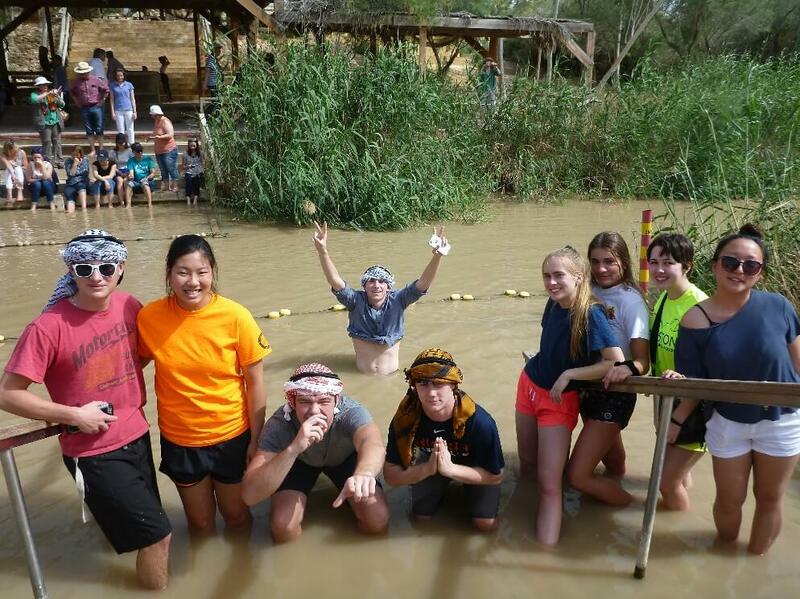 Many of the students wanted to receive more than a sprinkle of water, so they walked into the river; Paul went for full submersion. We then drove to the Dead Sea for a leisurely and cleansing swim. At this point our pilgrimage, all of the visits are starting to blend together and it is difficult to distinguish which event occurred on which day. However, what came next is undoubtedly the highlight of the day for everyone. Fr. 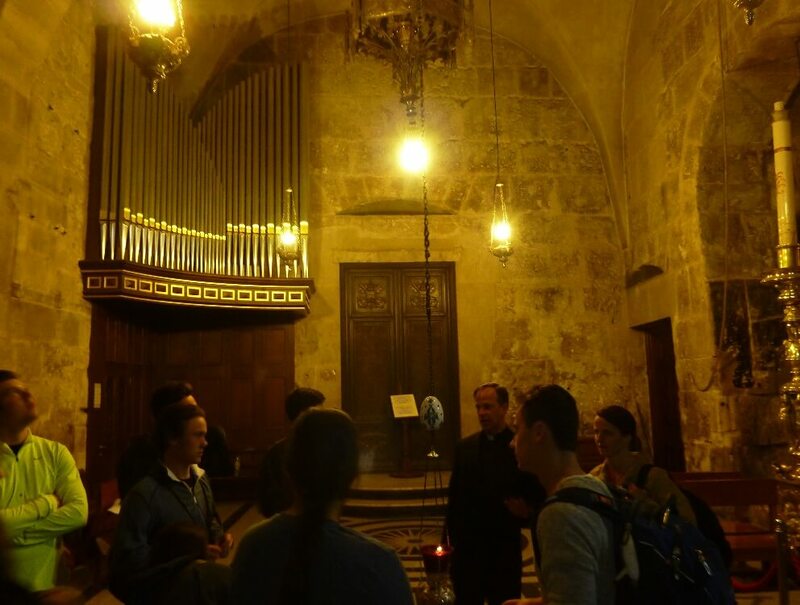 Daniel had arranged for us to spend the night in the Church of the Holy Sepulchre. After dinner, we gathered our belongings and boarded the bus. Everyone seemed to buzz with excitement during the short drive. Some of us were worried we may not be able to enter on time, others thought about what they would do for the 8-hr visit, while others expressed how grateful they felt to have this opportunity. The Holy Sepulchre at night is dimly lit and wonderfully silent. There was no need to remind anyone to be quiet or to turn off their cell phones. Being inside this most sacred place immediately moves everyone to be more reverent. All of us enjoyed the peaceful ambiance. The students commented that they were able to think, reflect, and pray with greater focus than before. 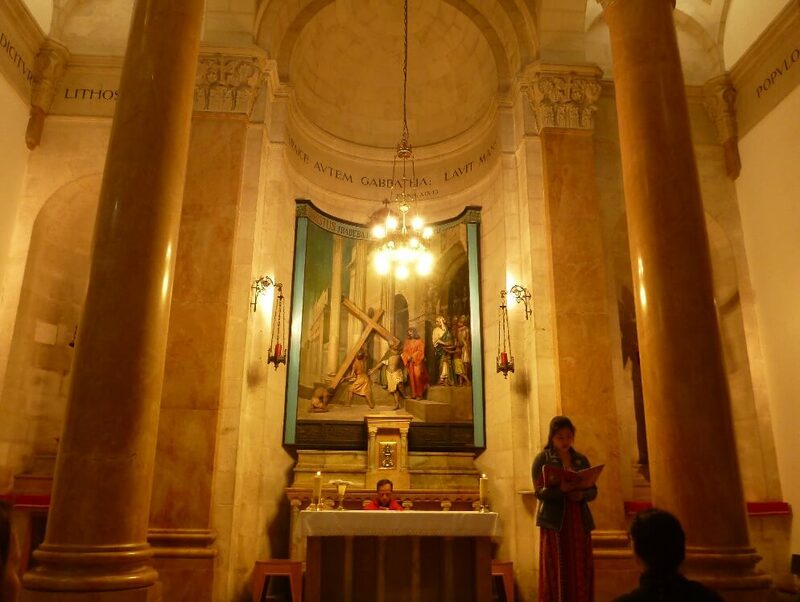 When inside the Sepulchre, we cannot help but notice all the marble and golden adornments, but the most beautiful experiences are those powerful and unexpected connections we felt with Christ and one another. The students prayed alone and in small groups. They offered private intentions and also shared in the Rosary to pray for their graduating class. They prayed on Mt. Calvary, in the many chapels, and over Jesus’ tomb. With the exception of Joey and Sarah, everyone fell asleep at some point, but our desire to encounter Jesus never failed. As morning approached, we were all physically exhausted but spiritually fortified. All of us had a greater, more tangible understanding of Christ’s suffering and love for each of us. We continue to pray for everyone back home. 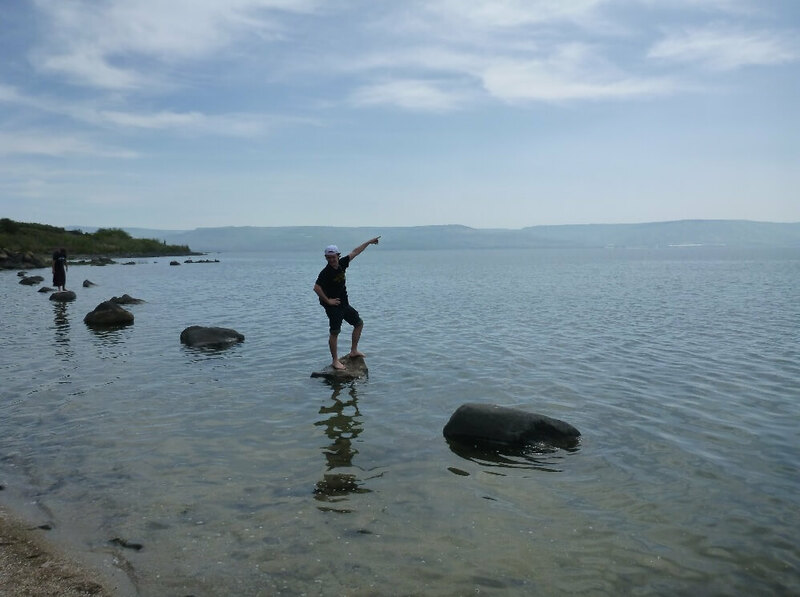 Following are more photos from the visit to the Sea of Galilee and the Magdala Center.